Petal Parade & Sweet Sorbet Sneak Peeks – Stampin’ Up! 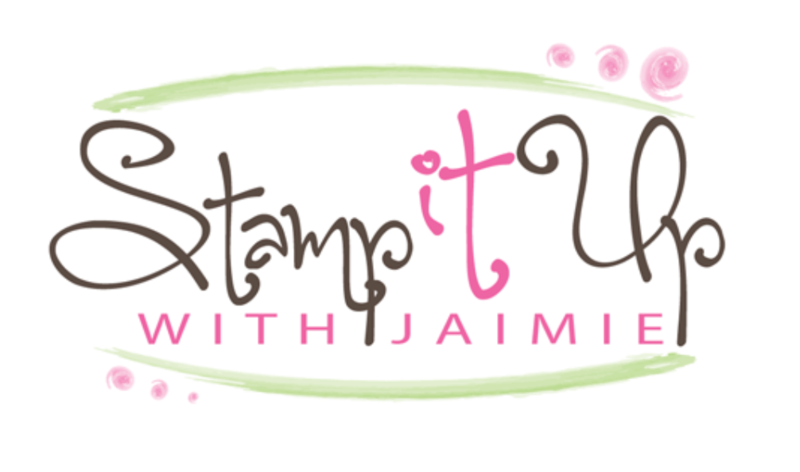 I used two of the items that will be available for free from Stampin’ Up! during Sale-a-bration to create my card today. Sale-a-bration starts on Jan 28, this is a fabulous time of year when Stampin’ Up! lets you pick a free item for every $50 in merchandise that you purchase! Just in case you were wondering, the merchandise shown on the first 9 pages of the Sale-a-bration Brochure is just to provide you with examples of how you can reach a $50 order and what you can create with the items in the bundle. You aren’t required to purchase those items to be able to pick the free products. The $50 merchandise total can be anything that is currently available in either of the catalogs or in the online store. Let me know if you have any questions about that. And let me know if you need a Sale-a-bration brochure or either of the current catalogs. I’m happy to send them to you! My card design was inspired by the Monday Lunchtime Sketch Challenge #297. I started by adhering a panel of Sweet Sorbet DSP (Sale-a-bration item available Jan 28) to a panel of Pistachio Pudding card stock with SNAIL. Then I cut a banner from the Sweet Sorbet DSP with the largest Banners Framelits die and I adhered it to the card front. I stamped the images from the Petal Parade stamp set (Sale-a-bration item available Jan 28) in Summer Starfruit, Crisp Cantaloupe, Pistachio and Pool Party inks on a Whisper White panel. I used the Stamp-a-ma-jig to help with the placement of the scalloped image at the bottom of the panel. 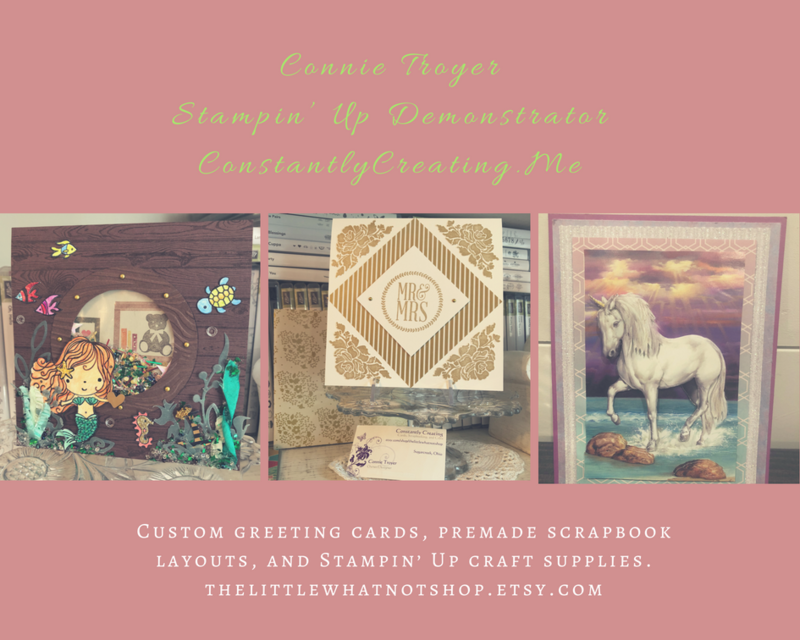 I stamped the sentiment from the Sassy Salutations stamp set (wood mount and clear mount) in StazOn Jet Black Ink, then I adhered the stamped panel to a Pistachio Pudding panel and to the card front with SNAIL. I wrapped three strands of the twine from the Sweet Sorbet Accessory Pack (Sale-a-bration item available Jan 28) around the card front, adhering them with Multipurpose Liquid Glue, then I adhered the card front to a Basic Black card base with Stampin’ Dimensionals. I tied a bow with three pieces of twine from the Sweet Sorbet Accessory Pack and adhered it to the card front with Multipurpose Liquid Glue. To reduce some of the bulk and make this more mailable, I adhered the bow above the three pieces of twine that I’d wrapped around the card. I finished the card front by adhering three Rhinestone Basic Jewels that I’d colored with a Black Sharpie Marker. I finished the inside of the card by adhering leftover strips of Sweet Sorbet DSP and Basic Black card stock to a Whisper White panel. Stamp With Amy K Blog Candy Weekend! Thanks so much to those of you who left comments on my post yesterday, it’s always so much fun to read them!! If you haven’t done so already, be sure to leave me a comment on my blog post from yesterday by Sunday, Jan 19 telling me what your favorite new item (or items in my case) from the 2014 Occasions Catalog is. You’ll be entered to win my blog candy package: The Language of Love stamp set (clear mount), a package of Antique Brads and a spool of the retired Basic Gray 5/8″ Satin Ribbon!! Click here to head over to my blog post from yesterday so that you can leave your comment. This entry was posted in Birthday and tagged Amy Koenders, Atlanta, Atlanta GA, birthday, Demonstrator, Duluth GA, Feminine, Georgia, Johns Creek, Petal Parade, Sassy Salutations, stamp with amy k, Stampin Up. Bookmark the permalink. Love your handmade DP for the sentiment layer, looks like it is part of the pack! Awesome job, such a fabulous card, the colors are so soothing to me. Thanks so much for playing along with my sketch challenge this week! Thanks for the awesome sketch to play along with and thanks for stopping by to leave a comment! What a gorgeous card! Looking at this stamp set on line would not make me think it could be so pretty.